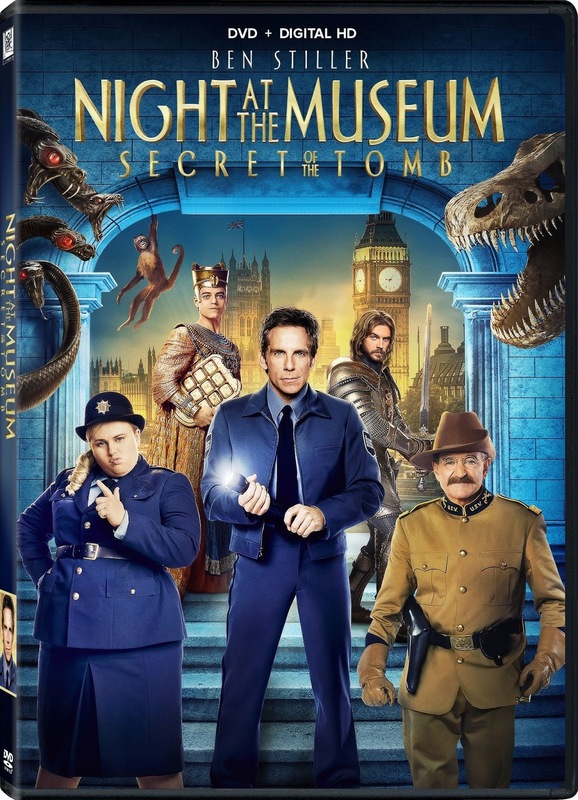 Just back from the final film in the Night at the Museum trilogy. It did NOT disappoint. 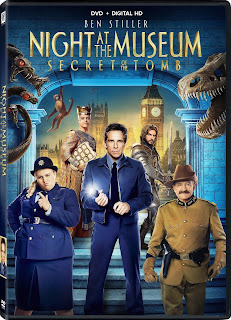 While we are once again reunited with many of our favorite personalities from the first two films, we are also delighted by the addition of new characters including Dan Stevens as Sir Lancelot, the great Ben Kingsley as Ahkmenrah's father, and Rebel Wilson, who was a hoot as British Museum's security guard, Mindy. There is also a wonderful cameo from Hugh Jackman that received many laughs. It was great to see so many adults and teens in the theater NOT present with younger kids because, honestly, this film is for everyone! Secret of the Tomb is just as fresh and creative as the first two movies. The writing is wonderful and, while there is the usual in-your-face humor that younger audiences love, there are many innuendos and sophisticated references that are targeted to older crowds. There are also SEVERAL touching moments in this film as Larry Daley (Ben Stiller) deals with the inevitable conflict a parent faces when their child is becoming an adult. And, as a mom who just dropped her son off at the mall to meet friends for the first time, this was hitting home on a very personal note! For parents, this film is rated PG for some mild action, rude humor, and brief language. I do not feel there is anything inappropriate for young viewers (except a very large, scary triceratops), but most jokes will be wasted on those under 9. And, like I said, many others will only be caught by older moviegoers. While this film works as a stand-alone, I suggest you watch the first two films if you haven't already done so. They are also clever and highly enjoyable. There are some amazing lines in this film, both humorous and sentimental leaving this mom a bit emotional at the end. Take into consideration that this film was dedicated to the late Mickey Rooney and Robin Williams and you had me wiping away tears by the end. I guess I now have to see the second before seeing the third, thanks for sharing. Not crucial, but recommended. Thanks for reading!